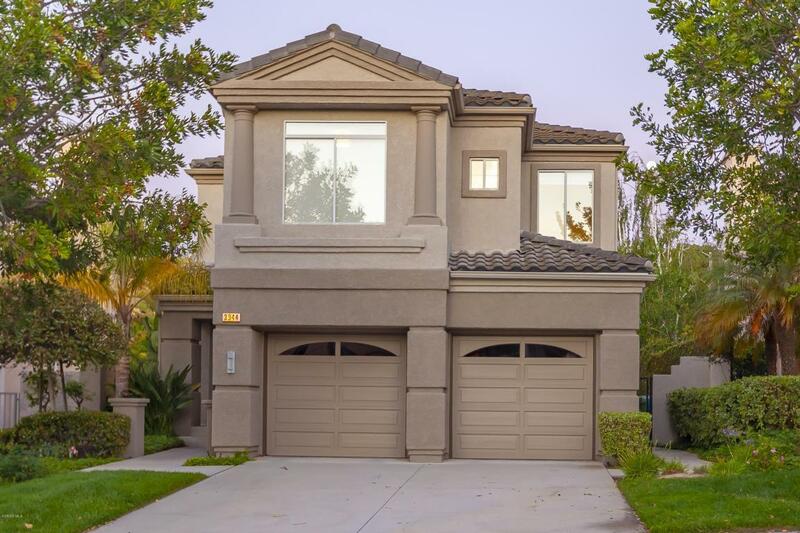 Welcome to this 4-bedroom, 3 bath family pool home in the wonderful Belmont tract neighborhood of Moorpark. Walk in through the double doors and you'll be greeted by this light, bright, open floor plan with two story ceilings. Many upgrades have been made, including driftwood laminate floors, custom modern baseboards and recessed lighting. Downstairs has a bedroom and full bath, perfect for guests. The kitchen has white cabinetry with stainless steel appliances and opens to the family room. Upstairs you will find two additional bedrooms with overhead lighting and a Jack-n-Jill bathroom. As you make your way down the hall, you will notice the very convenient upstairs laundry room. Finishing the upstairs is the Master suite with ceiling fan, walk in closet, soaking tub, dual sink vanity, and separate stand up shower. The private backyard of this house faces a lovely common wildlife area with no houses behind it. It is a true entertainers paradise featuring a Roman-style solar (and gas) heated pool on a salt system, large spa, gas fire pit, gas hookups for your BBQ and two patio covers. Don't miss this beauty, with all of the upgrades, secluded lot and close proximity to schools, shops and more, it is sure to go fast.